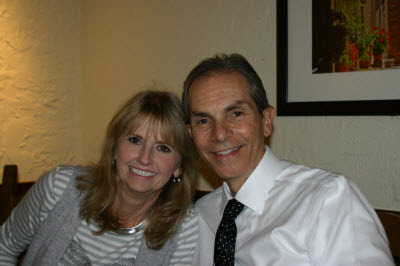 Dr. Neil Brodsky is a 1975 graduate of Ohio University with a degree in Business, Psychology. He worked as a sales engineer in upstate New York before he continued his education with a degree in Optometry and finally as a Doctor of Dental Surgery from Case Western Reserve University. 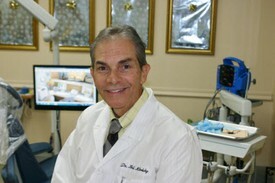 Dr. Brodsky has been in practice for over 30 years. Dr. Brodsky was one of the first selected to do an intense Graduate Practice Residency while at Case and then and the first selected for an extensive residency at Metro General Hospital in Cleveland. Dr. Brodsky currently maintains membership in good standing in the American Dental Association, Florida Dental Association, West Coast Dental Association, Pinellas County Dental Association, American Academy of Cranial Facial Pain, American Academy of Cosmetic Dentistry. Dr, Brodsky’s expertise with cosmetic and restorative dentistry can gently create a new smile that will make you look and feel better. He has given presentations in sleep apnea, oral health and cosmetic dentistry including implants, whitening, and veneers. Dr. Brodsky continues seeking further education and hands on training to provide state of the art dentistry. Dr. Brodsky has been married for 38 years, has 2 married adult children, 4 grandchildren, and Niko the American Eskimo dog. Dr. Brodsky holds 3 martial arts black belts and in 1999 was the FLMA state champion. Dr. Brodsky loves to road bike and ski.